Morning all, new guy here with the same problem. NAPA doesn't carry anything and a local Stealership carries a replacement for PN 22072683 for ~$150. It rains and snows here, I'm almost ready to bite the bullet. I’m not alone! I’m not crazy! After months of searching forums and YouTube videos for ways to fix my faulty wiper switch, motor, relay, control, or whatever on my 1989 GMC V2500 Suburban, I thought I was the only person who didn’t have the “C” shaped (as it’s been called above) wiper control module. Somehow, after all this time, *this* post shows up and I discover I’M NOT ALONE! Thank you. My problem: I can turn the wipers on, and they run slow or fast, but the delay doesn’t, uh, delay (just runs at usual “slow” speed), and the wipers do not turn off, unless I twist the switch back — the spring loaded “mist” switch — and release it, in which case the wiper motor turns off and wipers arms stop moving the moment I release it. So, here in Oregon where it’s drizzly/misty much of the winter, I’ve had to become proficient at timing the release of the “mist” with the moment when the wipers hit what should normally be the “off” position. In fact I generally manually run the wipers by using the “mist” twist — twist back and hold until the wipers complete a cycle or two, then release the switch when the wipers return to “off” position. It’s a pain-in-the-****. 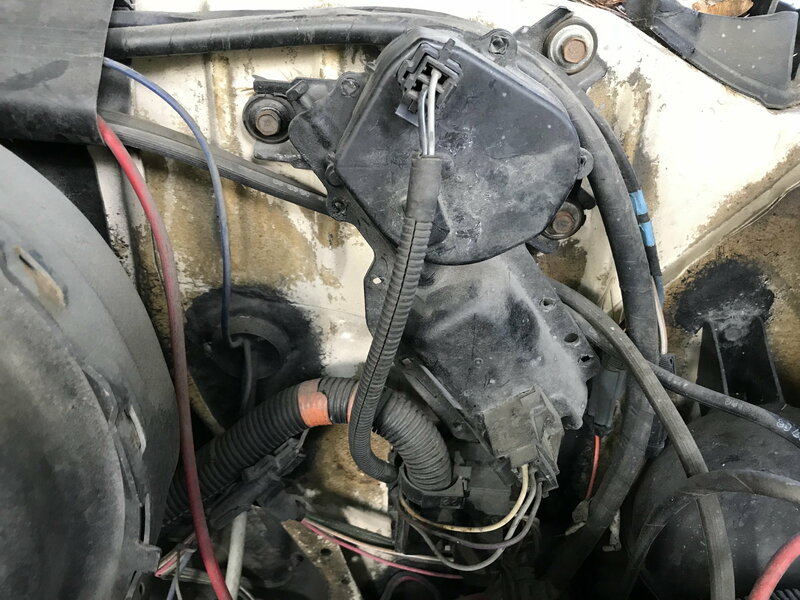 I’m going to see if I can find the wiper control module based on an earlier reply — something about a long rectangular shaped thing to the left of the motor, with a plug on the left side of it. I’ll try to unplug it, clean the contacts, and apply dielectric grease to see if it works. If it doesn’t, I’ll try to remove the module, and see if I can crack it open to see if there are cracked solder connections that I can attempt to fix with my very limited soldering skills. I’ll take some photos (not sure if I can upload them?) 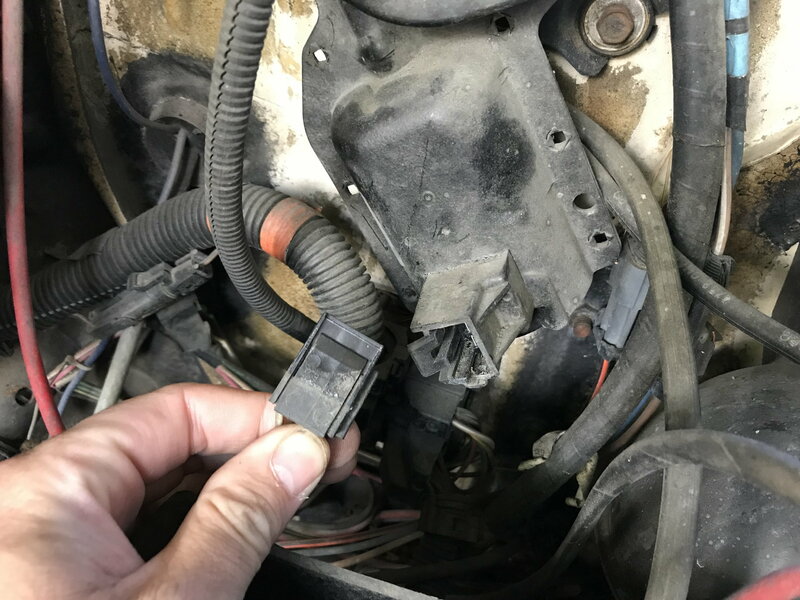 and report back on results... just in case there’s another lost soul with an ‘89 or ‘90 Chevy/GMC truck with the mysterious non-C-shaped wiper control module. Last edited by informative; September 14th, 2018 at 1:41 PM. So... I don’t have a clue where to find the wiper control module on this beast. I’ve unplugged the two plugs into the wiper motor assembly, and traced those wires to... well, it looks like they dive into that blocky bundle of wires that’s attached to the firewall — looks like all the wires that go through the firewall. I can’t seem to find anything on the engine side of the firewall that looks like it could be a wiper control module. Any hints? Is there a relay/control kind of thing *inside* the truck, like near that hard to reach/explore fuse box under the dash? I’ll attempt to upload photos. “Big Brown” as the kids like to call her. 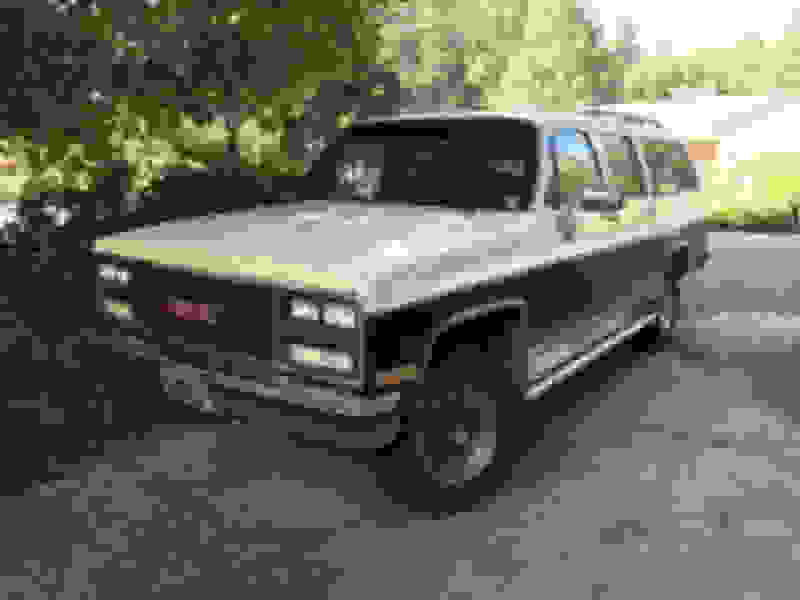 1989 GMC V2500 Suburban. Faulty wiper switch or controller module thingy. 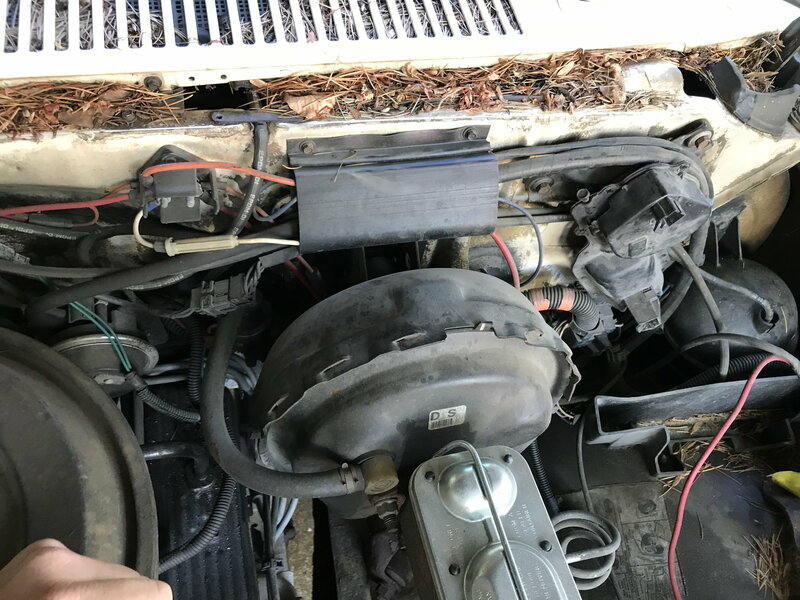 But... not the same wiper motor and controller that most of the rest of the Chevy/GMC world seems to have gotten in this era. I unplugged the connectors on the wiper motor — 2 of them — cleaned them, although they didn’t look bad and connections were snug. After plugging back in... wipers worked (poorly) same as always. A wider shot of the wiper motor area. I’ve crawled up on there and poked my head and fingers all around back there... can’t find anything that looks like a wiper controller. You? Inherited 1990 Silverado w/Overheat problem? ?